71/75 to 5th St. Exit follow 5th to L on Greenup to R on E 2nd. Truly One of a Kind! 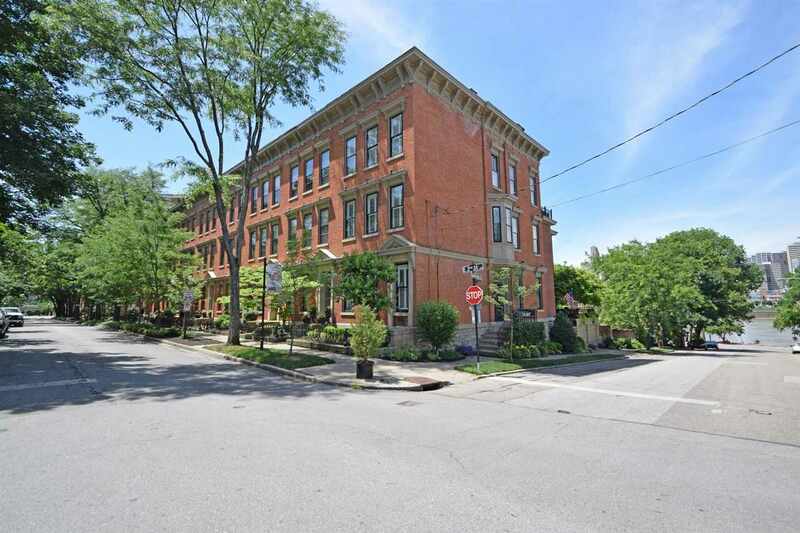 Gorgeous 3 Story Townhome loaded with character nestled in the Historic Licking Riverside District just minutes from Downtown Cincinnati! 4 Bedrooms * 2 1/2 Baths, including Luxurious Master * Gourmet Kitchen with Stainless Steel Appliances and Wine Refrigerator * 6 Fireplaces * 2nd Floor Laundry * Rooftop Deck * Private Garden * Dedicated Off Street Parking. Fresh paint. This listing courtesy of, Comey & Shepherd, LLC .